We Germans love our beer. So much that at present more than 1300 breweries in Germany can make a living of that loving. There’s a little bit of everything going; from one man shows to multi billion dollar enterprises. And two breweries even have ‘official status’ – being state owned! Amongst them is my all-time favorite: The Rothaus brewery in the deep south. Rothaus is just too special. Since it’s founding in 1791 beer is continuously brewed here; befitting its rank with the purest crystal water from the on-site Black Forest spring. Promotion – they don’t need. Hip style – they don’t want. They stay true to themselves and that is what we cherish. Besides the splendid taste of their specialty brew “Tannenzäpfle” (little pine cone) it is our good friend Birgit who enchants us with every sip we take, smiling at us from the label – since 1956! 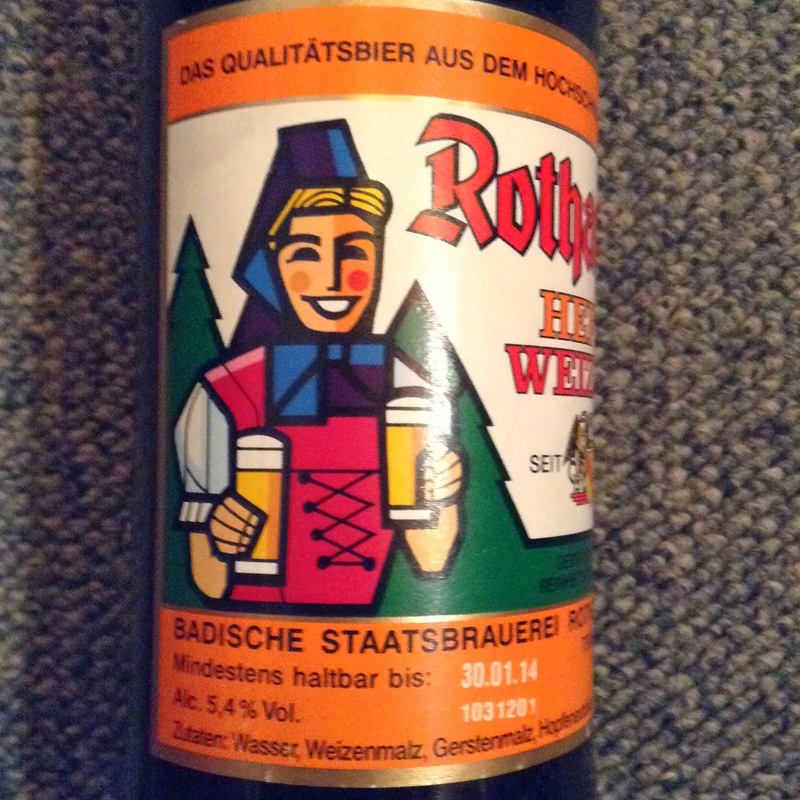 Rothaus’s icon Birgit Kraft is a lovely lady wrapped in Black Forest garb, a beer in hand and a blackforesty backdrop. Her name isn’t just a random pick though but was born from deep local dialect. In old alemanic (which is actually still spoken beneath some of the darkest of the Black Forest pines) “bir git kraft” translates to “beer gives vigor”. How much more truthful could she have been named? Due to that vigor she so freely gives she is not only a fancied after work date but also a well-liked companion on our hiking outings or a donor of remedy for excessive yard work after pains. Of course a grande dame like this mustn’t adorn just any bottle which is why Rothaus decided to crown her bottles with a patented seal design around her crown cap – in gold of course, goes without saying. A special technique applies the seal without having to use any glue or adhesives. This means it can be taken off unscathed and used as the perfect golden playtoy. And what a plaything it is! You would be surprised what awesomeness can be created out of a little piece of golden crown cap seal foil. A visit to classic black forest taverns might give you a first insight but for the most stunning you’ll have to wait for winter. Come Christmas there will be contests for the most elaborate Christmas tree decoration – made of Birgits crowns of course! I tried once myself but was a fool to think I stood a chance against those Black Forest ubermoms!